Benchmarking can help you gauge how your products compare with the competition or even how reformulated versions compare with the original. Gaining an independent, unbiased view about how your product rates is an important part of the ongoing management of a product. Leatherhead provides a comprehensive product-benchmarking service that uses both consumer testing and trained sensory panels. Head to head competitor tests: for organisations wanting to know if their product is “better than” or “as good as” relevant competitor products, Leatherhead can undertake consumer hall testing on your behalf. 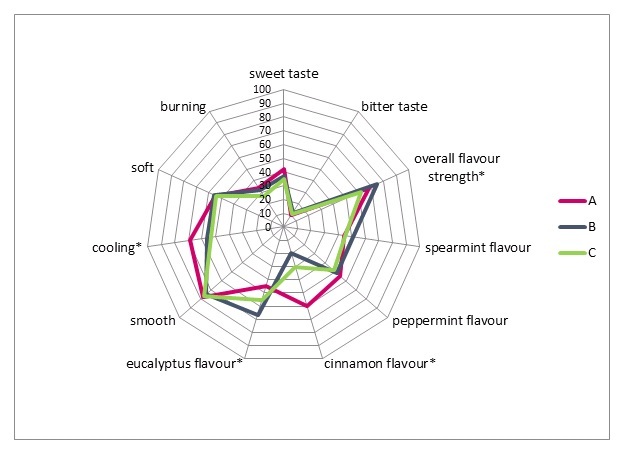 There are many questions that can be asked to assess quality but typically we would ask questions around consumers’ liking of: appearance, aroma, flavour, texture and overall liking and disliking. This gives category buyers or product owners quantitative and qualitative data about how their product is perceived by standard consumers.